Big news! From now till October 11, if you’re a designer or architect or other design professional, make sure you head over to Interior Design and vote for Granada Tile in the magazine’s Best of Year Awards. 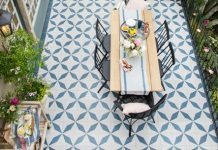 Our brand-new Stripes Group—the latest addition to our flagship Echo Collection of cement tiles—and already totally beloved, is up in the Flooring: Tile and Stone category. 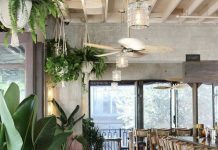 Your vote could propel our cement tiles into the finals, where the winners will be chosen by Interior Design’s editor-in-chief Cindy Allen and a jury of design professionals. The awards will be announced live on December 5. Granada Tile’s Stripes Group is up for a Best of Year Award from Interior Design magazine. Vote today! Tile photo, Granada Tile. Why vote for our Stripes Group? Well, it’s pretty fantastic. The range is bold, graphic and totally versatile. Whether your project calls for something contemporary or a bit more traditional, our Stripes Group of cement tiles can’t be beat. With nine different patterns to choose from, there’s something for everyone, from thin stripes of Boston to the wide stripes of Atlanta, and everything in between. 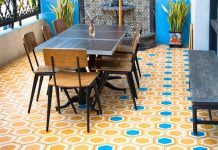 And, as with all of our Echo Collection concrete tiles, you can customize your cement tiles’ colors, so your guaranteed the perfect look for your project. Of course, if you need a custom color, we can help you with that too, just give us a shout—we’re always happy to help. While you’re over at Interior Design’s site, don’t just limit yourself to voting in the Flooring: Tile and Stone category. There are loads of other fabulous products in dozens of categories to vote for too. From technology to furniture to wallcoverings to textiles, you can vote for the most exciting, innovative and downright stunning products to be introduced this year. Even better, if you vote in every category, you’ll be entered into a drawing for one of three iPad Minis.